Munich. BMW presents a particularly contemporary and technologically advanced form of automotive luxury. The extensively advanced plug-in hybrid models of the luxury sedan likewise line up for the start at the market launch of the new BMW 7 Series in spring 2019. They combine the sporty flair, travel comfort and feel-good ambience of the brand's top models with a particularly high level of efficiency as well as the possibility of enjoying a purely electrically powered, locally emissions-free and virtually noiseless driving experience. 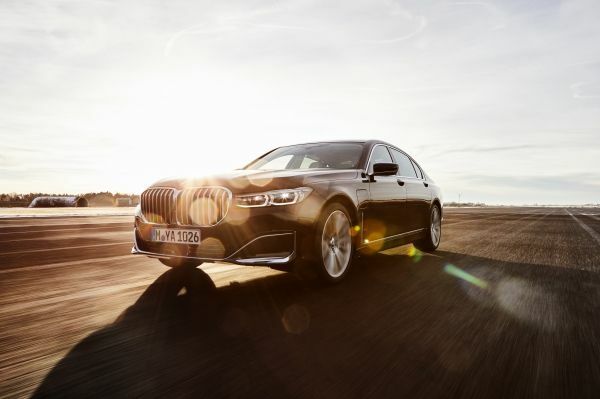 This future-oriented driver experience in the luxury performance segment is available in a choice of three model variants: the BMW 745e, the long version BMW 745Le and the BMW 745Le xDrive with extended wheelbase and intelligent all-wheel drive. Their plug-in hybrid system now includes a 6-cylinder in-line petrol engine and a further advanced high-voltage battery with enlarged capacity. Progress vis-à-vis the predecessor models is reflected by a boost in output and torque as well as improved figures for electrically powered range, fuel consumption and CO2 emissions.